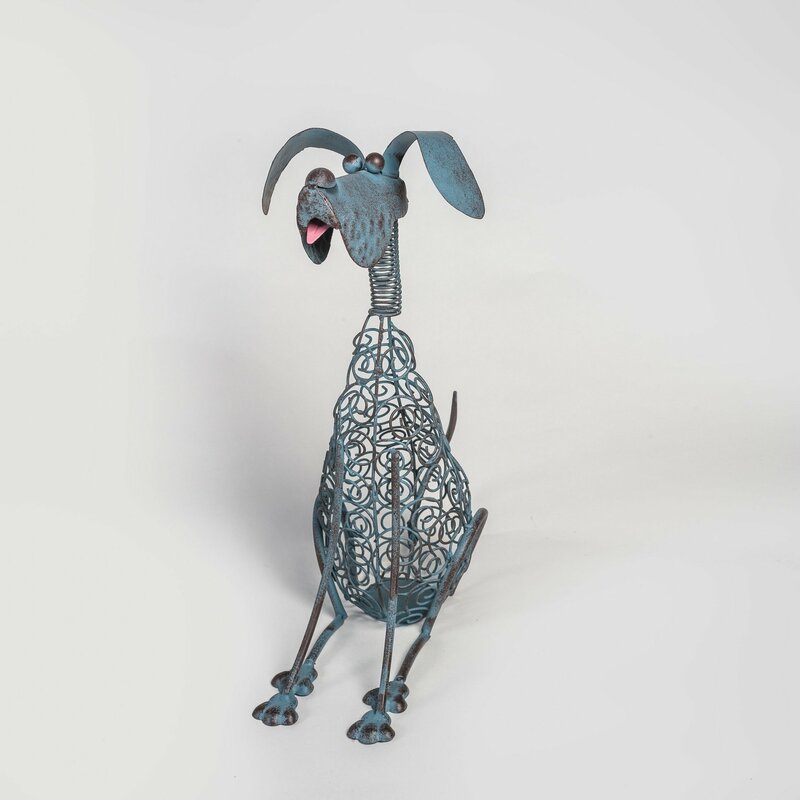 The Grey Lace Dog is 45cm tall. The body of the dog is made of twisted wire, which looks like lace. The head and tail are on a small spring, so they will move in the wind or when tapped. The dog is a blue-grey colour and has a pink tongue poking out of its mouth.